Q: I have a question for your Q&A day on Wednesday. Leonard Melman seems to think it may be a very long time before gold and silver recover and then go up substantially. What do you think of his analysis? Checking our records, I see that you have been receiving our newsletter since 2009 and spoke with one of our senior brokers in 2013. One would think that, after all this time and exposure to Andy Hoffman, Bill Holter and myself, you would already know the answer to the question. Our views are very clear and consistent. You are not asking for a guaranty here, you are asking for our “opinion” of Melman’s views. I don’t follow his work but did a bit of checking. It appears he is primarily involved with exploration and junior mining company analysis. Melman’s view is not one in isolation. The thing is, I am not sure what he bases his views on. The Elliott Wave people have their own reasons. So do the deflationists, like Harry Dent. I don’t know where he is coming from but I can assure you, regardless of how he got to his conclusion, all of us at Miles Franklin strongly disagree. It’s one thing to take the position that gold and silver could fall further. Anything is possible in the short-term, but to think that gold and silver will languish for a prolonged period of time is, in our opinion, laughable. We base our views on the following: The Fed continues to recklessly expand the money supply, which will prove to be very inflationary. Supply is contracting while demand is increasing. To assume that gold and silver will be in a long-term decline goes against these strong supply/demand fundamentals. It totally ignores the reams of information that strongly imply the prices are low, not due to fundamentals, but due to market manipulation. Do you think that Richard Russell, Jim Sinclair, Bill Murphy, Ted Butler, David Morgan, Eric Sprott, Rick Rule, Gerald Celente, Bill Fleckenstein, Paul Craig Roberts, Jim Rickards, Jim Willie and Doug Casey, to name but a few highly creditable folks all got it wrong? And to that list you can add Andy Hoffman, Bill Holter and myself. We have a combined 60+ years’ experience in the precious metals industry. Look, anything is possible. I give Melman a 5% chance of being right, because anything can happen. But I tell you straight that my son Andy, Bill Holter, Andy Hoffman and I all have close to 100% of our portfolios in gold, silver and platinum. And a few mining shares. That does not mean that we will be proven correct, but we sure think so and put our money where our mouth is. I guess it is disappointing to think that you have been exposed to our excellent commentary for nearly five years and still allow Melman to make you feel so uneasy about the future of gold and silver. I spend nearly $250,000 a year to publish our newsletter, whose goal is to help educate you (and all our readers) and give you comfort in a difficult marketplace. We can’t control short-term pricing, but we can and do explain what is happening and why – and where this will all end up. I find it hard to believe that anyone who has read our material for several years would even bat an eye at Melman’s viewpoint. You should know better; you read the views of most of the people I mentioned above, whom I frequently quote for our readership. I am certain that all of them would tell you that Melman’s view is preposterous! Be sure and read the excellent article titled “Forget Ebola, Worry About the Coconut Virus” featured in the LeMetropole Café section below. There is an easy-to-understand explanation of how inflation really works. It will be enlightening to many of you. Even if you already understand the concept of inflation, the analogy used is wonderful. I enjoyed it immensely! Q: Does all this news in the media about the banks being fined for collusion relate to the commodity manipulation? If so, is it the same cartel you are always mentioning? We don’t “know” the answer to this question but we can make a pretty good educated guess that the answer is “yes”. Our contention has been for years that gold and silver are manipulated while the mainstream would label us as “kooks” forever even thinking this. Now, after LIBOR, munis, Treasuries, HFT trading etc. etc. being discovered as snake pits, our contentions carry more weight. The point is this, gold and silver are kryptonite to the central bank’s fiat monies, are we to believe that these two precious metals are the ONLY assets on the planet that are not manipulated? Common sense tells you that yes, the same bad characters doing dirty work elsewhere are the ones in the gold and silver market suppression schemes. The masses will figure this out AFTER they no longer have the ability to procure metals in my opinion. Q: I have a question for your Q&A day on Wednesday. I just watched a video with Randy Smallwood the CEO of Silver Wheaton recorded on November 12, 2014. In the video he said that he is fine with silver at these prices. Even at these prices he has margins in excess of 70% because his cost of production is around $4.50/oz. This is the second time i saw a video from a CEO of a major silver producer which stated that his cost of production was around $5 an ounce. If these guys aren’t lying, which i doubt they are, these cost of production figures are way below what i heard at the Silver Summit. 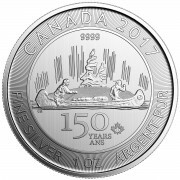 These prices may not be all in costs but they are low enough that they kept silver below $9/oz for the twenty year period of 1985-2005. I was under the assumption that we would start to show shortages at these prices. However when i get costs of production of around $5/oz. right from the CEO’s of major producers I could see we could be a lot lower than $15/oz. for many years to come. 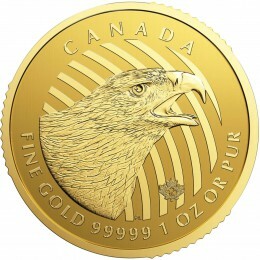 Without having a financial collapse why couldn’t we have silver prices at or below $15 for another twenty years? Randy Smallwood is NOT “fine” with prices here, he is simply playing the marketing mantra that because SLW is a royalty company and not an actual producer, they are “immune” to lower prices. LOL. For one, SLW’s earnings are 100% correlated to silver prices. And their cost is NOT $4.50/oz., as that is just their variable cost per ounce. They also paid billions for the rights to $4.50/oz. silver – and sometimes, the production they pay for is a lot less than expected, or non-existent. In the case of the Pascua Lama Project, for example, SLW paid Barrick $625 million for the right to part of the mine’s silver – which as it turns out, may never be produced – leaving SLW $625 million out in a litigation nightmare with ABX. Moreover, when base metal prices decline, the mines SLW buys silver by-product from can be shut-in – which is exactly what occurred in 2008, when SLW nearly went bankrupt. SLW may not have its “own” operating risk, but with the royalty model, it takes on the operating risks of dozens of mines – and still has 100% exposure to silver prices. Frankly, if Smallwood is “fine” with rigged silver prices trading below the cost of production, causing his stock price to do this, he should be fired. This says it all…from the last article posted on this site. Do you think that Richard Russell, Jim Sinclair, Bill Murphy, Ted Butler, David Morgan, Eric Sprott, Rick Rule, Gerald Celente, Bill Fleckenstein, Paul Craig Roberts, Jim Rickards, Jim Willie and Doug Casey, to name but a few highly creditable folks all got it wrong? And to that list you can add Andy Hoffman, Bill Holter and myself. 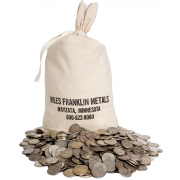 We have a combined 60+ years’ experience in the precious metals industry. But I tell you straight that my son Andy, Bill Holter, Andy Hoffman and I all have close to 100% of our portfolios in gold, silver and platinum. And a few mining shares. That does not mean that we will be proven correct, but we sure think so and put our money where our mouth is. To add to this I personally have 50% of my assets in either physical Precious Metals and or a well diversified Precious Metals fund. Yes I am under water in my PM fund but I am not very worried because at some point in the very near future I suspect that this fund could double in value from present levels. In the end sound money principles will prevail and this charade of the western governments will end. My sincere thanks to everyone at Miles Franklin.. This is now my favourite place to go to stay informed on this subject. 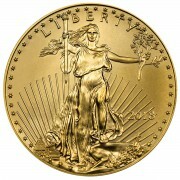 A great read is an article just out on http://www.kingworldnews.com on the truth behind the German repatriation of gold. I guess folks have been indoctrinated with the idea that financial investment ventures are best based on tips, rumors, and insider information. People have difficulty believing that honest, thoughtful study of data, and conclusions drawn- such as provided by Miles Franklin and others whom you trust- could possibly be realistic. It must be that, left to our own devices, we really are “sheeple”- and we VOTE!